Lenovo has used CES 2016 to lift the lid on the Yoga 900S, which is basically the Yoga 900 after a going on a diet. There's nothing wrong that - we all like to look good for the start of the new year. The Yoga 900S is closer to the Yoga 3 Pro from January 2014 in terms of dimensions, measuring a svelte 12.8mm and weighing just 2.2 pounds (0.9kg) thanks to its lightweight carbon fiber chassis. 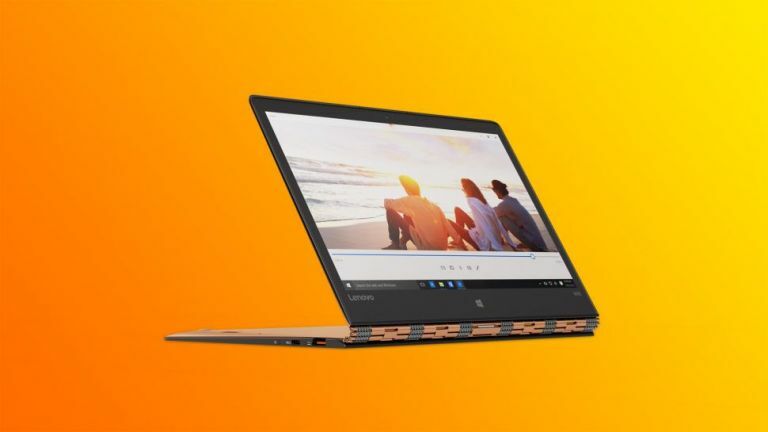 The watchband-style hinge that has become synonymous with Lenovo's flagship convertibles has returned, meaning you'll be able to flip it into laptop, tent, stand and tablet mode depending on what position you're in. The Yoga 900S can't quite match the Yoga 900 in the specs department. It sports a lower-resolution 12.5-inch QHD (2,560 x 1440) pixel-resolution display and trades the 900's Intel Core i-series processors for Intel's battery-sipping Core M7 chip, which is backed up by 8GB of RAM. The processor helps it run for up to 10.5 hours on a single battery charge, according to Lenovo, so you'll be able to get through a few films stored on the (up to) 512GB SSD inside. It's a convertible that aims to get one over Apple's similarly svelte 12-inch MacBook, but the price tag is more palatable. The Yoga 900S starts at $1,099, which roughly converts to £745, and will be available from March. That's just one month before the Surface Book launches in the UK, so prepare yourself for a selection headache.